If you think trading bitcoin is scary now, just wait. Goldman Sachs is launching a bitcoin trading desk. Goldman Sachs Group Inc. is setting up a trading desk to make markets in digital currencies such as bitcoin, according to people with knowledge of the strategy. The bank aims to get the business running by the end of June, if not earlier, two of the people said. Another said it’s still trying to work out security issues as well as how it would hold, or custody, the assets. The move positions Goldman Sachs to become the first large Wall Street firm to make markets in cryptocurrencies, whose wild price swings and surging values have captured the public’s imagination but given pause to established institutions. 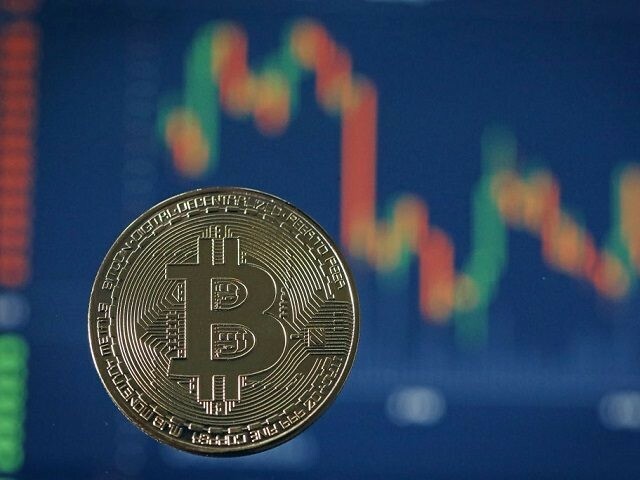 Already, the bank is among just a few mainstream firms clearing a new breed of bitcoin futures offered by Cboe Global Markets Inc. and CME Group Inc. Citigroup Inc. and Bank of America Corp., for example, have been taking a wait-and-see approach. A spokesman for Goldman told Bloomberg that the move is a response to client interest. Many of Goldman’s most notorious actions, however, began “in response to client interests.” Goldman began facilitating the growth of AIG’s use of credit default swaps, for example, in response to AIG wanting to get synthetic exposure to a risky bond deal funding the Rome airport. AIG’s interests were served so well that the once-mighty insurance company collapsed in 2008 and needed tens of billions of dollars of bailout funds and support from the Federal Reserve. Goldman has always insisted that despite the collapse of its client, it was never really at risk of suffering serious losses. Goldman paid hundreds of millions of fines in 2010 to settle the government’s accusations that it had defrauded clients who bought exposure to U.S. mortgages through credit default swaps. Those trades also began in response to “client interests.” Unfortunately for some of the clients Goldman served, Goldman was also serving clients with conflicting interests, and Goldman failed to tell the clients buying the mortgage exposure that the deals were assembled with the help of a hedge fund looking to profit from the mortgages defaulting. Goldman swears it has reformed. Certainly, then, it would not dream of housing a digital currency trading desk inside the fixed-income, currencies, and commodities trading unit that was behind the AIG and Abacus trades. Goldman Sachs is now assembling a team in New York, one of the people said. While the bank hasn’t made a decision where to house the desk, one possibility is that it will operate within the fixed-income, currencies and commodities unit’s systematic trading function, which conducts transactions electronically, two people said. Now Goldman has clients. So everything will be different this time. Surely.